Czech influence on music is highlighted in this section. These composers and musicians that produced some of the world's most beautiful music had connections to Bohemia by birth or by want. You can learn more about Mozart's love affair with the city of Prague or the varied inspirations that shaped artists like Dvorak and Smetana. Antonin Dvorak was a Czech composer who frequently used features of the folk music of Moravia and his native Bohemia. 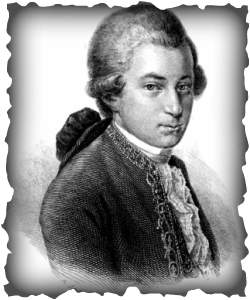 His earliest influences were of Beethoven and Schubert. 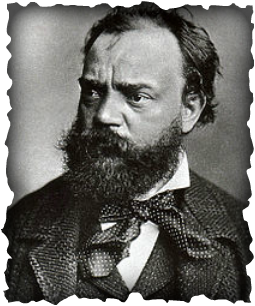 Dvořák's musical style is best described as traditional Bohemian folk music placed in symphonic tones. Among Dvořák's best known works are his New World Symphony, the "American" String Quartet, the opera Rusalka and his Cello Concerto in B minor. He died of a stroke at the age of 63 and was morned by his adopted cities of Vienna, London, and New York. His ashes were interred in the Vyšehrad cemetery in Prague, beneath a bust by Czech sculptor Ladislav Šaloun.